Well, okay, maybe you didn't, but it doesn't hurt to know. 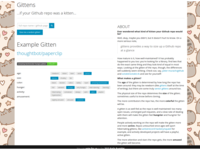 On a more serious note, gittens provides a way to size up a Github repo at a glance. How mature is it, how well-maintained? It has probably happened to you too: you're looking for a library, find two that do the exact same thing and they look kind of equal in most ways. Looking at the gitten of the repo, though, the differences will suddenly seem striking. Check out, say, http://gittens.r15.railsrumble.com/gitten/peter-murach/github and http://gittens.r15.railsrumble.com/gitten/octokit/octokit.rb and see for yourself! 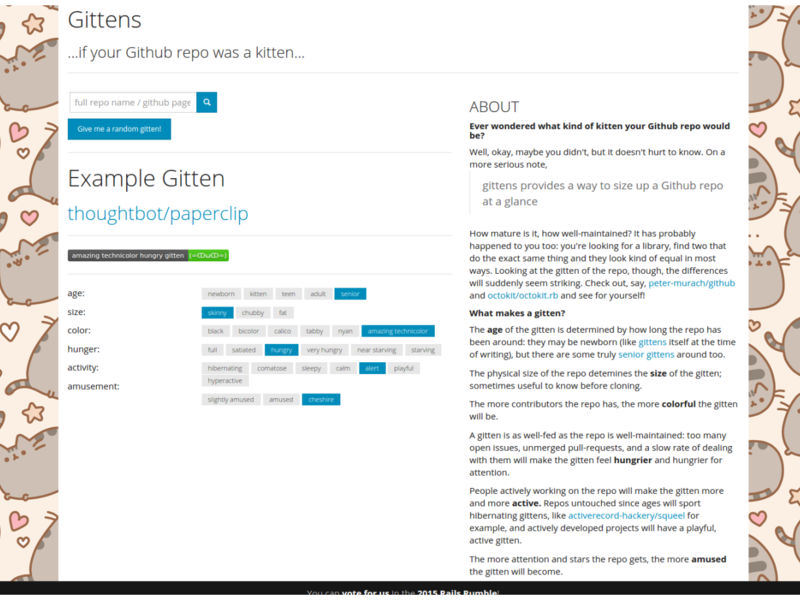 People actively working on the repo will make the gitten more and more active. Repos untouched since ages will sport hibernating gittens, like http://gittens.r15.railsrumble.com/gitten/activerecord-hackery/squeel for example, and actively developed projects will have a playful, active gitten. If you see [hibernating starving gitten | (^-.-^++)_] you know there are issues needing attention for sure, but there hasn't been any activity in a long time. But if you see [amazing technicolor senior gitten | (=ↀωↀ=)] you know it's and old repository with lots and lots of contributiors, and since these are it's two standout traits, the other areas should be okay, so it's probably an actively developed and nicely maintained repository. The badges are generated by shields.io, and the ASCII kittens were inspired by melaniecebula/cat-ascii-faces. 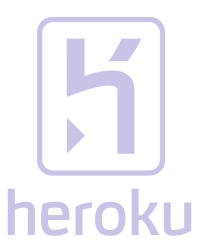 Built with cuba, octokit, faraday-http-cache and dalli. The badges are generated with www.shields.io and the ASCII cats are mainly from https://github.com/melaniecebula/cat-ascii-faces.